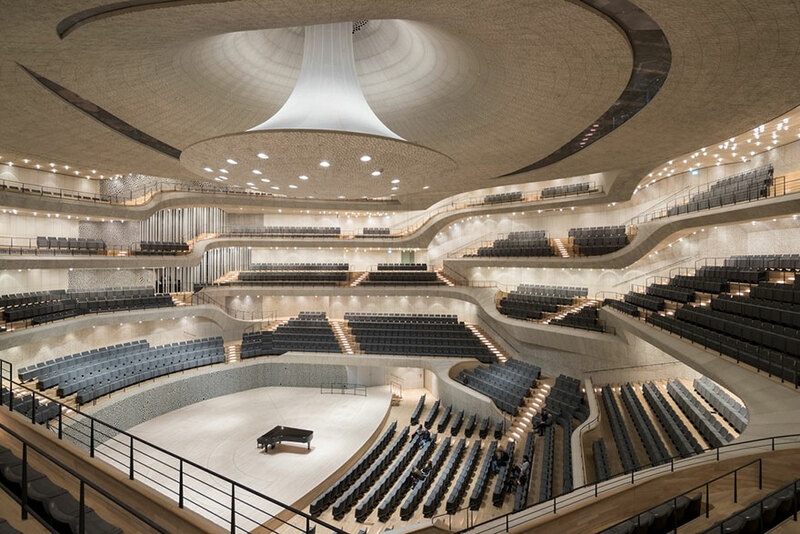 The hall, called the Elbphilharmonie, located in Hamburg, German, it took 7 years longer than planned and 10 times more ($843 million USD) than original budget. 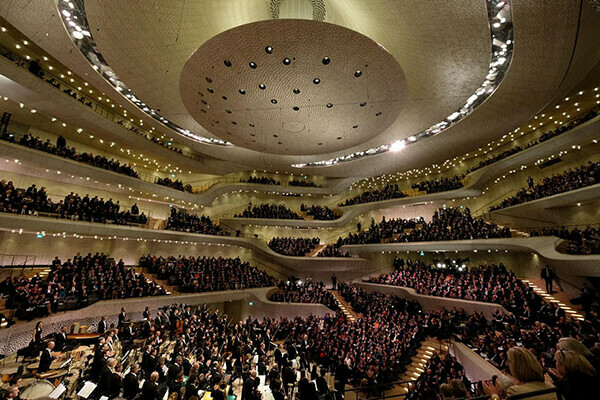 Designed by Swiss architects Jacques Herzog and Pierre de Meuron, who are perhaps most well known for designing the Tate Modern in London and the Olympic “Bird’s Nest” Stadium In Beijing, it magnificent hall can seat 2,100 people and aim to provide perfectly balanced audio that can be heard from every corner of the auditorium. 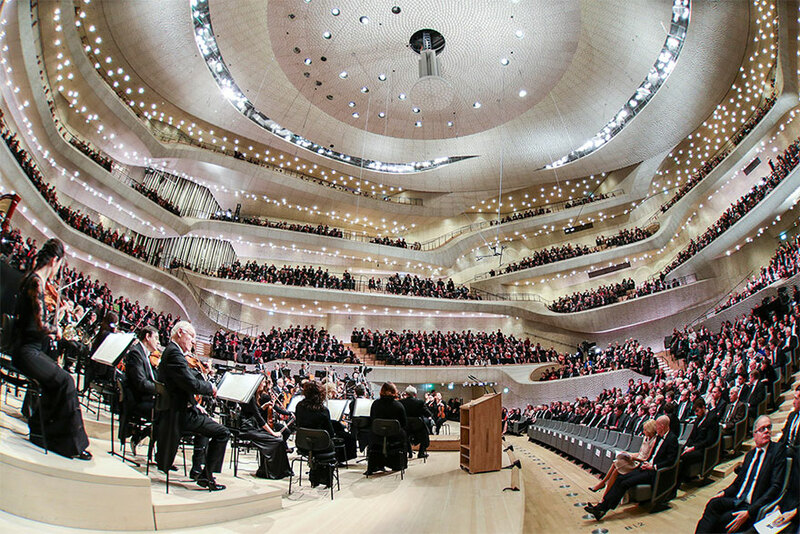 By joining force with Japanese acoustician Yasuhisa Toyota, famous for the Walt Disney Concert Hall in L.A and the Suntory Hall in Tokyo, Jacques Herzog, Pierre de Meuron and Yasuhisa Toyota used algorithms to create the auditorium’s 10,000 unique acoustic panels. 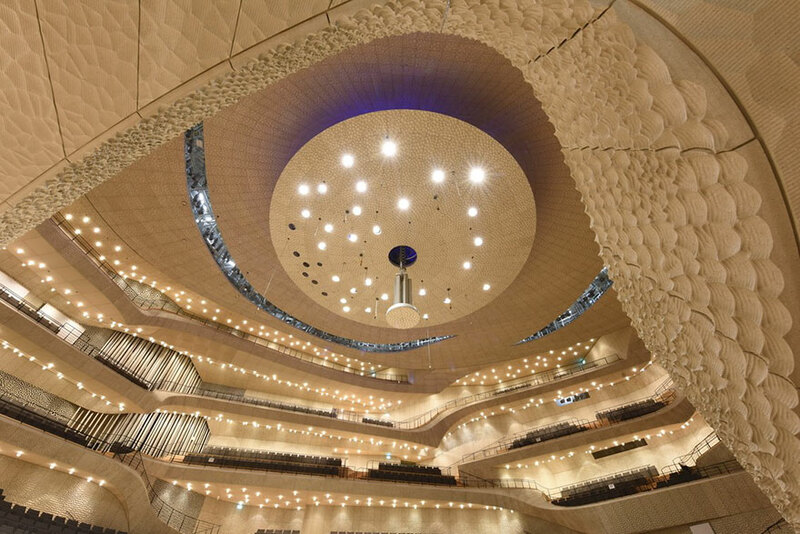 These special panel is made from gypsum fiber, each panel contains one million “cells” which line the ceilings, walls and balustrades of the central auditorium. 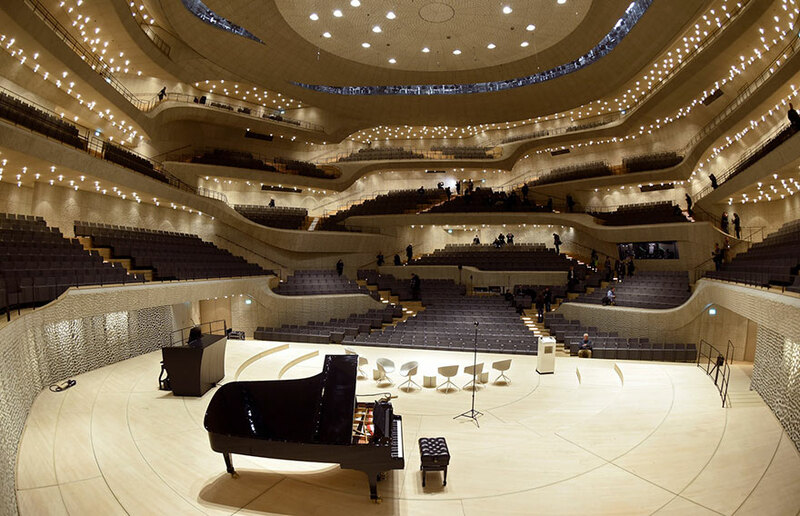 When sound waves hit these panels, the “cells” help to shape the sound by either absorbing the waves or causing them to reverberate throughout the hall. 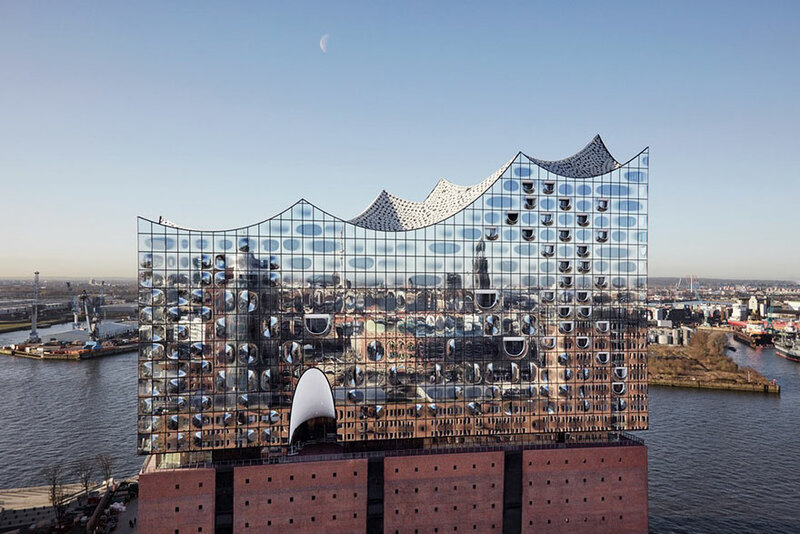 The genius feat of audio engineering is complemented by an equally stunning facade, which rises above the Elbe River and is the tallest building in town. 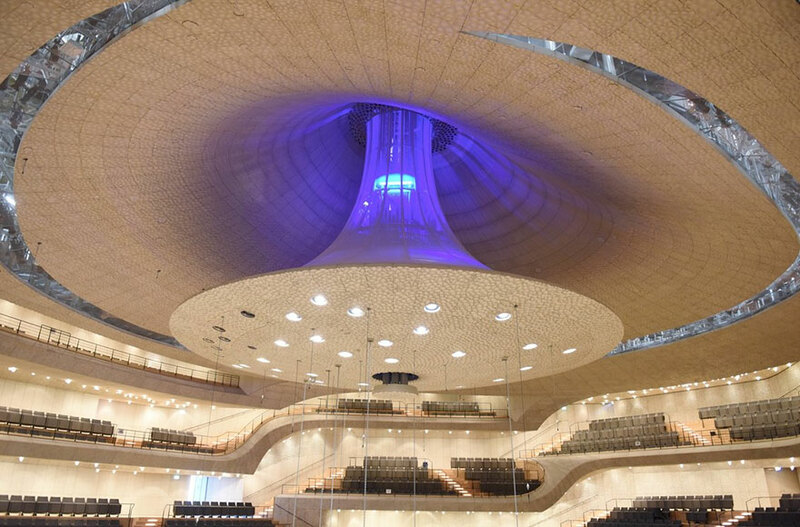 Its roof is designed to mimic the shape of waves and is covered in giant sequins, and the building features 1000 plate-glass panels that change color in the light. It must be an unforgetable if I can listen the performance in the concern hall like this.